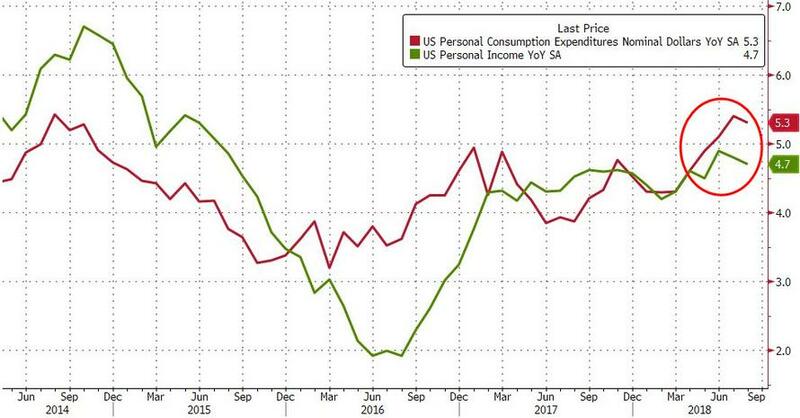 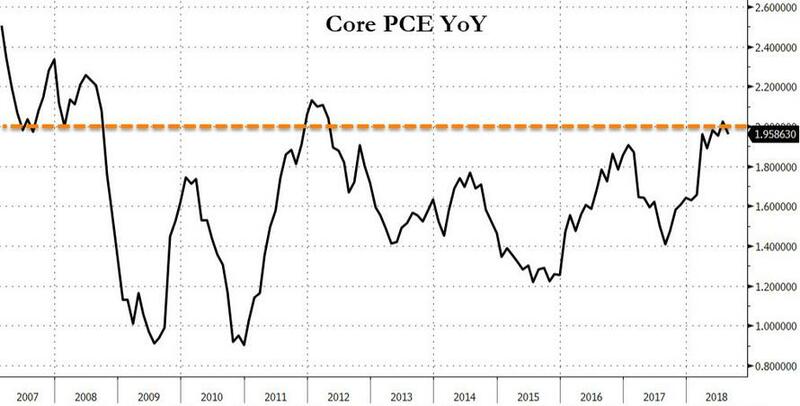 Annual spending growth outpaced annual income growth for the 7th month in a row in August but month-over-month, incomes rose less than expected as The Fed's favorite inflation indicator modestly disappointed MoM. 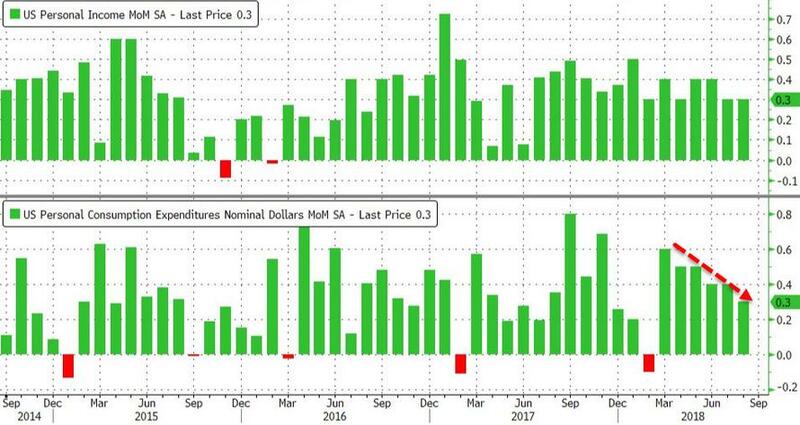 Wages and salaries rose 0.5% MoM, the most since January, the August report showed. 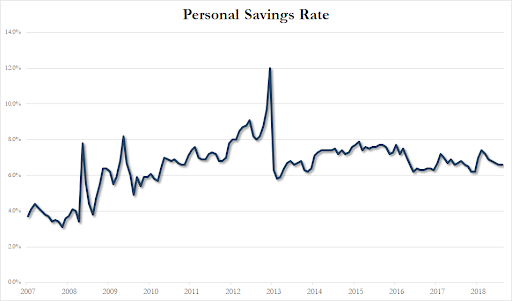 Real disposable income, or earnings adjusted for taxes and inflation, increased 0.2% for a second month. 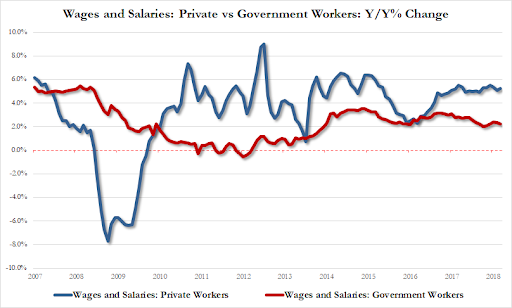 Private worker wages rose at 5.3% YoY in August, up from +5.1% in July, notably outpacing Government wage growth.